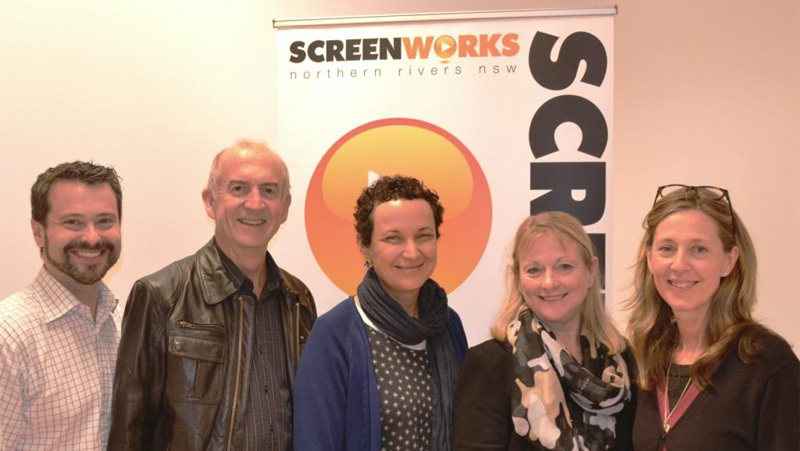 There was a great sense of relief and excitement at the Screenworks’ Funding Screen Production event in Byron Bay last Friday, as guest speakers from Screen NSW and Screen Australia de-mystified the funding process to an audience of Northern Rivers filmmakers. Screen NSW’s Senior Development and Production Executive, Mark Hamlyn and Screen Australia’s Investment Manager – Drama, Sally Regan presented at the Screenworks event on how to put together a successful screen funding application and how to build a screen finance plan. These two organisations are the main funding bodies for screen production in NSW, and with limited funds available, seeking funding can be a very competitive process. “The visit gave me valuable insights into the region’s creative community,” said Mark Hamlyn. “I think there are the makings of several potential applications for development funding for the future” he explained. Screenworks professional development program is designed to assist local screen creatives progress their careers. For more information on Screenworks and its program of events, visit the events section of Screenworks website..